The illicit tobacco trade is a global issue accounting for an estimated 10.4% of the cigarette market worldwide. In addition to being a major funding source for organised crime, the cost to European tax revenues is estimated to amount to €11.3 billion a year (See background). The European Commission is addressing the issue as part of the Tobacco Products Directive (TPD), and has ratified the World Health Organisation’s Protocol to Eliminate Illicit Trade in Tobacco Products (FCTC). The executive has also made several bilateral agreements with the tobacco industry in order to control the cigarette supply chain and clamp down on cigarette smuggling. But in July, the EU executive decided to end an anti-smuggling deal with tobacco firm Philip Morris International PMI. A separate agreement with Japan Tobacco International (JTI) expires in 2022, and deals with British American Tobacco (BAT) and Imperial Brands both end in 2030. Traditionally, the illicit tobacco trade has been dominated by counterfeiting, but “illicit whites” are an emerging trend. These cigarettes may be legally produced but are then smuggled and traded illegally. At a euractiv.com workshop supported by the Slovak Presidency of the EU last week (27 September), Alvise Giustiniani, Vice President of the Illicit Trade Strategy and Prevention at Philip Morris International, said that “cheap” or illicit “whites” were the fastest growing sector of the illicit tobacco trade, now accounting for 35% of the market in the EU. “Arguably, it is the success of the policies implemented under Cooperation Agreements between the major manufacturers and the European Union and its members that have driven the criminals involved to move away from contraband and counterfeit into cheap whites,” he stressed. Dana Meager, State Secretary of the Ministry of Finance Government of the Slovak Republic, believes that illicit trade is driven by demand. “Consumers want to buy cheap products and save money and criminals want to take advantage of high taxes which they do not pay to make high profits with low risk of being caught and penalised,” she told EURACTIV, adding that smugglers are extremely flexible and adapt to the market demand. “The issue of illicit whites smuggling is one of the examples. Out of more than 600 million cigarettes seized with the support from OLAF in 2015, almost all were illicit whites,” she stated. Meager cited a number of examples indicating the “innovative” ways that smugglers found in order to continue their criminal activities. For instance, there is a new trend at the Ukraine-Slovakia border with the use of drones crossing the border nearly each night. “There are also, let’s say, more traditional ways of smuggling such as unmanned rubber boats with contraband floated down the border rivers Uh, and Tisa, or illegal crossing of green border by groups of carriers,” she noted. She also mentioned an illegal underground tunnel 700 meters long connecting the Slovak territory with the Ukrainian. The tunnel, she explained, measured around one metre in diameter and varied in depth between three and six metres below ground. “It was equipped with tracks and a trolley for transporting goods,” she explained, saying the seized goods were ‘Jin Ling’ cigarettes. “Based on intelligence, it was established that the tunnel was used 2-3 times per week which corresponds to an estimated tax evasion of €50 million per year,” she said, adding that as the warning labels on the seized cigarette packing were written in English, it is to be assumed that the cigarettes “were not destined for the Slovak market”. According to a KPMG study, Belarus is the primary source of illicit cigarettes in the EU. Particularly, there were in excess of 5 billion “illicit White Belarussian” cigarettes consumed in 2015 in the EU alone. In addition, there is a significant flow of illicit Belarussian cigarettes to Eastern Europe, primarily Ukraine, Moldova, and Russia. The study found that there were two domestic manufacturers of tobacco products in Belarus, the state-owned Grodno Tobacco Factory Neman (GTFN) and the private owned Tabak Invest, which in addition to their own brands, also produce under license or contract with international companies. GTFN brands represent more than 1 in 10 illicit cigarettes consumed in the EU, causing estimated tax losses during the period 2011-2015 in excess of €3 billion. In February 2016, the EU lifted most sanctions against Belarus, after what was considered to be an improvement in the country’s human rights record. EU foreign ministers agreed on Monday (15 February) to lift nearly all sanctions on Belarus, including against strongman President Alexander Lukashenko, after what is considered to be an improvement in the country’s human rights record. The EU is also trying to push forward a number of measures aiming at boosting economic ties with Minsk, but the lack of control on illicit tobacco production seems to be an “open wound” for the industry and the member states. “The EU should use its leverage in trade talks with neighbouring states which are the primary sources of Illicit Whites, including Belarus, to support not only ratification of the FCTC Protocol to Eliminate the Illicit Trade in Tobacco Product but also the specific introduction of measures aimed at controlling the supply chain,” PMI’s Giustiniani noted. Contacted by EURACTIV, an EU spokesperson said that in the context of its investigative mandate, OLAF had recently started to request information from Belarus in relation to exports of cheap white cigarettes. “This cooperation is still at an early stage since the information requests were submitted under the framework of a recently signed administrative cooperation arrangement between OLAF and Belarus. This cooperation arrangement places special emphasis on the need to fight the illicit trade in tobacco products,” the EU official added. EURACTIV also contacted officials from the European police cooperation organisation (Europol) on the issue. Howard Pugh, a senior specialist in Serious and Organised Crime Business Area, said that Europol’s role was intelligence processing and links between different areas of crime behind it but also the support of the operations once they’re up and running. 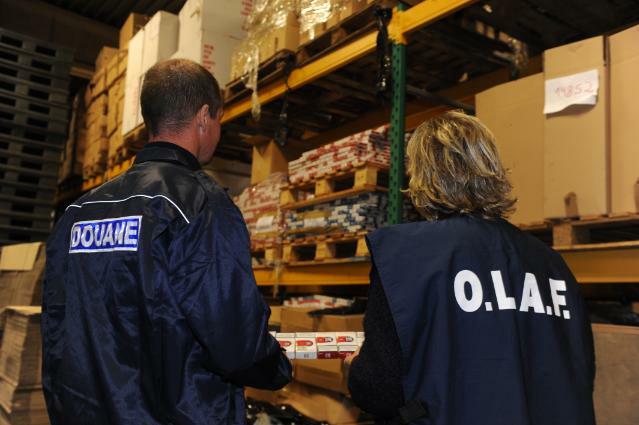 The Europol official also stressed that it’s not just cigarette smuggling, but that there is a potential for funds being generated by completed outlawed organisations. “We don’t differentiate between if there is a seizure of counterfeit or a leakage of genuine or the illicit whites – as long as a crime is committed and duties are not paid, normally there is organised crime network is behind it,” Pugh said, adding that the main areas where cheap whites might be coming from would be Belarus, but also the United Arab Emirates. “These are the two countries which have limited interactions with the EU law enforcement, we don’t have ‘forces’ over there and it’s very difficult then to get checks done perhaps on companies,” he said. For Pugh, one issue with cheap whites is that they are normally and legitimately made in a country outside Europe but also within Europe. “So when you ask Belarus to have a look at a particular factory, there is no crime being committed as they are legally manufactured,” he said. “The cigarettes leave the factory with the correct paperwork but they don’t have the same supply chain controls that the big four tobacco manufacturers have,” he emphasised, adding that there is no legislation to say that cheap white manufacturers have to know who they’re selling to or that the money is coming from an account. Pugh also noted that collaboration with the tobacco industry was needed not only with the track and trace systems that they have put in place, but also with knowledge of how cigarettes are moved around the world through legitimate trade. Carlo van Heuckelom, of Europol’s Economic Crime Unit said that the TPD and FCTC protocols were very cost intensive and not necessarily a solution. He focused on the cooperation of member states, stressing that the exchange of information should also be improved among EU agencies. “For example, Europol has no secure information exchange with OLAF,” he noted. Currently, the debate at EU level is focused on the adoption of an effective track and trace system and in particular, on Article 15 of the Tobacco Products Directive regarding traceability. The tobacco industry believes that the EU should focus on the effectiveness and interoperability of the regional track and trace standards with upcoming global systems that are foreseen by the FCTC Protocol. “In mobile telephony, the protocols of data exchange are open so that end users can freely choose their preferred device or provider,” Giustiniani noted, adding that in order for an international approach to work it is important that all these systems, which will need to exchange information with each other, are based on open standards with interoperability in mind from the start. “By doing this, the EU will take a lead vis-a-vis other regions and neighbouring countries when they have to implement their own track and trace systems,” he said. Meager holds a similar view, claiming that special attention should be given to the FCTC Protocol. 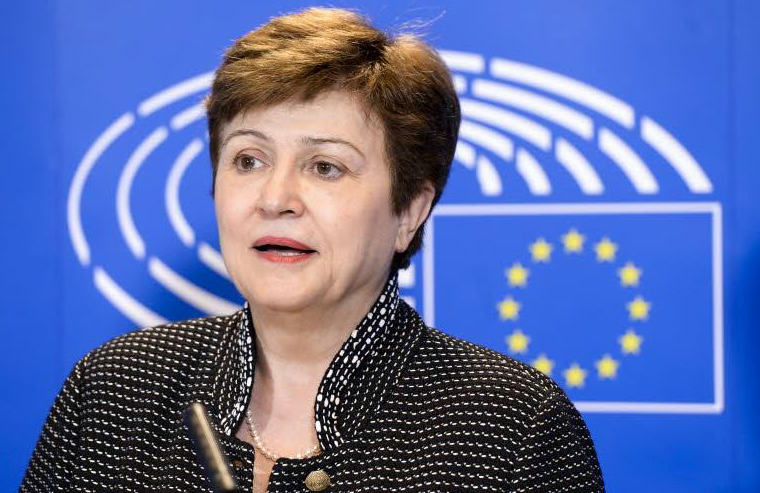 “I regret that for our EU diplomats, tobacco smuggling is not one of our priorities. What I see is that when we deal with Ukraine or Belarus, our first or second objective is not to convince them to close down those factories […] the EU has a lot of diplomatic power and I am under the impression that they don’t talk about,” she added. The illicit tobacco trade is a global issue with a major impact on the EU, accounting for an estimated 10.4% of the cigarette market worldwide. In addition to being a major funding source for organised crime, the cost on European tax revenues is substantial, estimated to be €11.3 billion a year. Traditionally the illicit tobacco trade has been dominated by counterfeiting, but “illicit whites” are an emerging trend. These cigarettes may be legally produced but are then smuggled and traded illegally. For some, tackling this problem requires innovative solutions that address a problem largely originating beyond EU borders. The European Commission is addressing the issue as part of the Tobacco Products Directive (TPD), while also ratifying the World Health Organisation’s Protocol to Eliminate Illicit Trade in Tobacco Products (FCTC). But there is no single solution and a response requires debate and knowledge sharing.